Cola Favoured Bottle Shaped Sweets with a fizzy sugar coating. 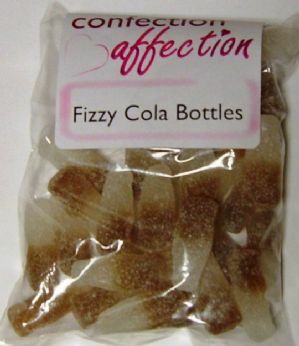 Cola Favoured Bottle Shaped jelly Sweets with a fizzy sugar coating that fizzes on your tongue with a slight sour taste. The great taste of fizzy cola bottles that we all love in a full to the brim bag at a great price. Perfect to pick at or share out with your friends.